Space, comfort and a friendly neighbourhood set the tone for this beautifully presented four-bedroom detached family home. 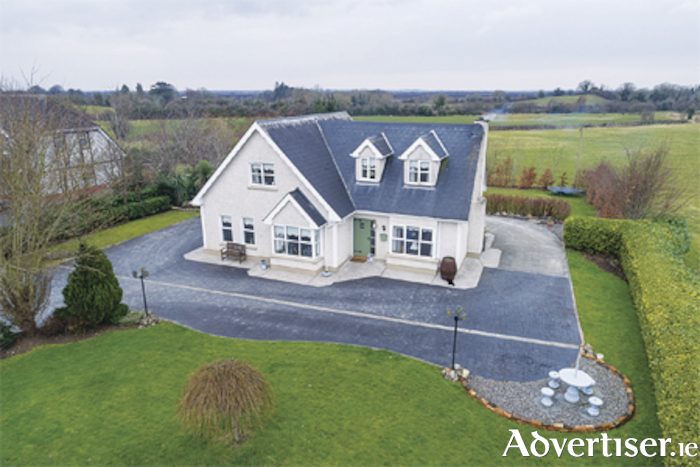 Sitting proudly on a landscaped site measuring approximately half an acre on the east suburbs of Athlone, the home boasts a south west facing rear aspect and a detached garage. The home is centrally located, being just a five minutes drive from Athlone town, and just three minutes from the M6, meaning easy access to both Galway and Dublin. Offering all the ingredients for family living, ( beside Clonbonny Primary School ) and must be viewed to be appreciated. The home offer four bedrooms, two reception rooms, four bathrooms, central heating and attractive decor. The property is approximately 170 square metres with a BER C3 rating. For more information call agent Helena Kenny of Sherry Fitzgerald O'Meara on (086 ) 8119190.